Upper right-hand corner of a block (w: 0.38 x h: 0.48 x d: 0.33) of grey limestone, possibly from an architrave. 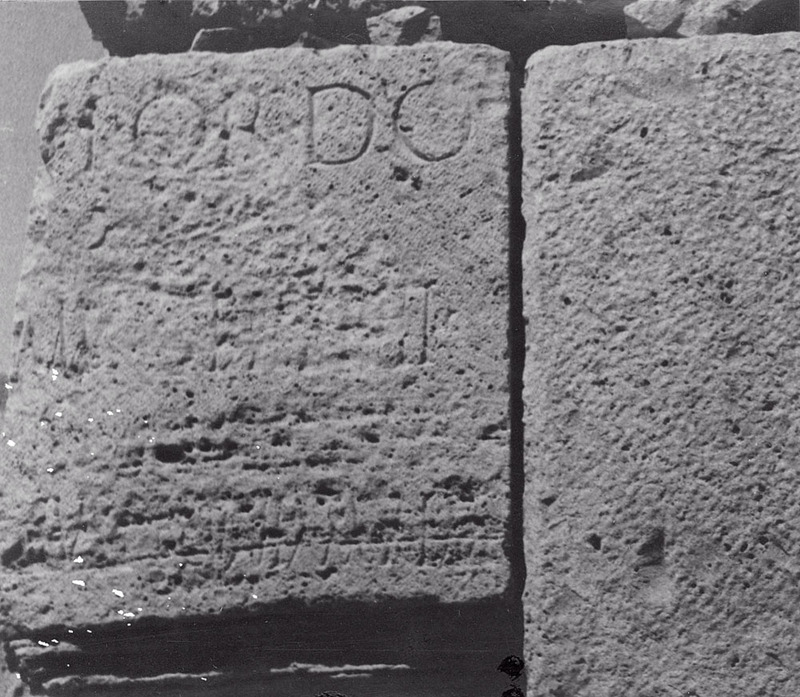 Lettering: l. 1 (lapidary capitals), 0.065; remainder (Rustic capitals), l. 2, 0.06; l. 3, 0.055. Lepcis Magna: Theatre, re-used in one of the piers of the West dressing room.